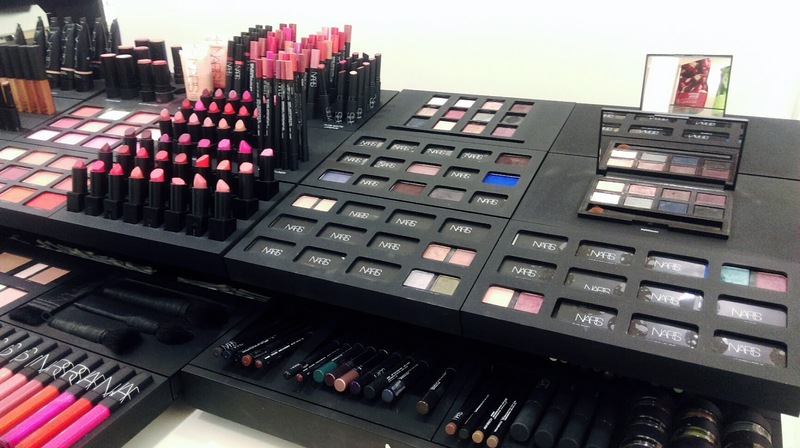 So I have a confession… I’ve never bought a high end beauty product. Ever. I’ve never graced the counters of Nars, Charlotte Tilbury, Chanel. In fact I think the closest I’ve come to owning anything remotely ‘high end’ is the Liz Earle Hot Cloth Cleanser I got for Christmas. Which, fyi, broke me out a ridiculous amount, so that was my first and last fling with anything more than a tenner. When I was younger I wasn’t interested in makeup at all. Nobody could convince me to try it, I was adamant that I preferred sleep over mascara. Over time I tried more and more bits, now I absolutely love learning different techniques and going a little bit mad on payday in Boots. I see teenagers now splashing their pocket money on MAC lipstick, or raving about their new Laura Mercier primer and it’s a different landscape. High end seems to have become the norm, it feels like everyone but me knows their Giorgio Armani foundation shade. The rise of social networks such as Instagram have become a popular blog topic in 2015, with people often questioning how it makes us feel, how it’s actually not a very honest representation of our lives, and how it can give us all a massive FOMO slap across the face, a bit “keeping up with the Joneses”. Or Kardashians, if you will. And that’s the thing isn’t it? Everyone is all about showing off and selfies, and I think the generation younger than us have been most affected. It’s all about looking your best 24/7, learning the perfect contouring technique and having ‘on fleek’ eyebrows. Which (and bare with me, I know this diverted quickly) is where high end make up comes back in. When I discovered makeup, it was all about the best foundation Rimmel or Maybelline had to offer. Nobody spent tonnes on makeup, because there wasn’t anywhere near as much pressure to look perfect as there is now. Girls have been tearing their lips in an attempt to get a flawless ‘Kylie Jenner’ pout ffs. And I think somewhere between Barry M dazzle dust and leaving school, to being a skint student and it turning 2015, I’ve been left behind a little. I’m getting to a stage in life where I have a steady (ish) income, and I’m keen to learn more about makeup beyond the 3 for 2 offers. I want to branch out into higher quality products with longevity, and invest in skincare that will keep my skin youthful for as long as possible. Isn’t it funny how different teenagers view/use makeup now compared to even 5 years ago? Is Instagram affecting our lives (and more specifically our makeup) more than we realise? Where the bloody hell do I get started with high end products? I’d love to hear your thoughts on any of these things!